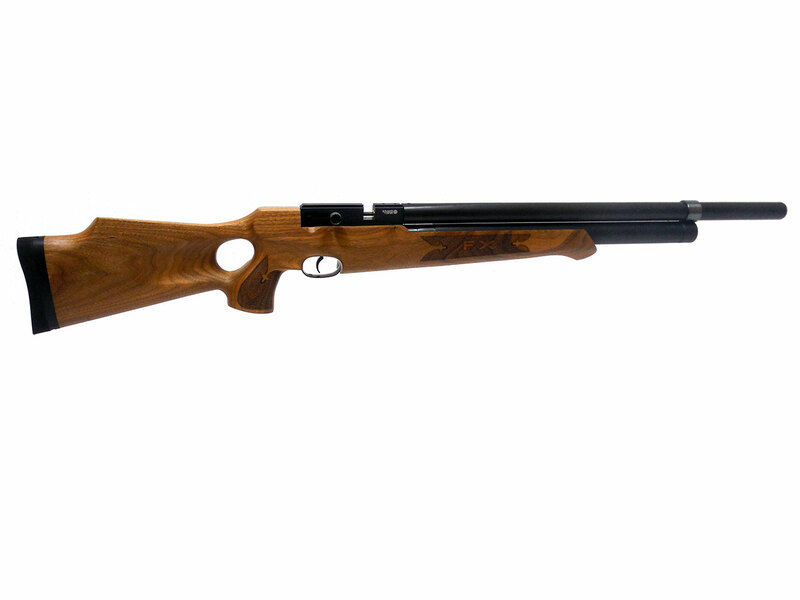 Walnut stock available in .177, and .22 caliber. 12 shot magazine for .22, and 16 shot magazine for .177 caliber. 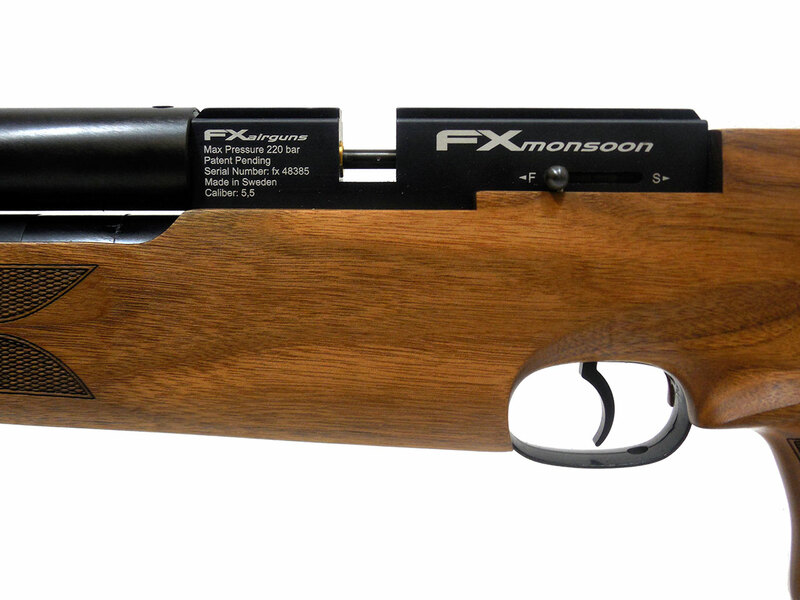 In a nutshell, the FX Mosnoon is a fast shooting, semi auto that looks great, shoots quiet, and delivers up to 30 ft/lbs of power in .177 caliber. The Monsoon has a semi-automatic system similar to the Revolution, which use wasted air to cycle the bolt and index the 12-shot magazine, due to the efficiency of the semi-automatic system it’s extremely quiet without the use of any additional components. 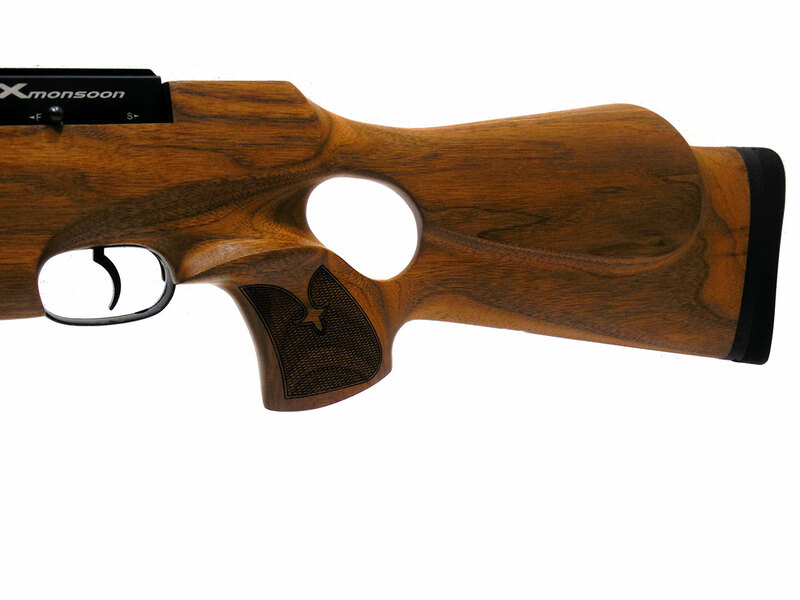 Beautiful walnut stock with thumbhole and adjustable recoil pad for recoil-free shooting. 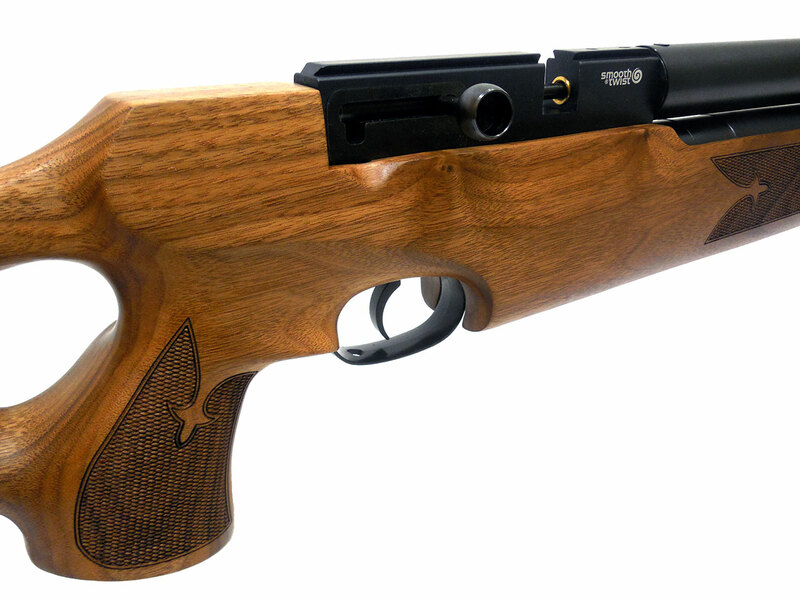 The manual bolt lever enables the rifle to be safely loaded and refilled without any risk of misfire. 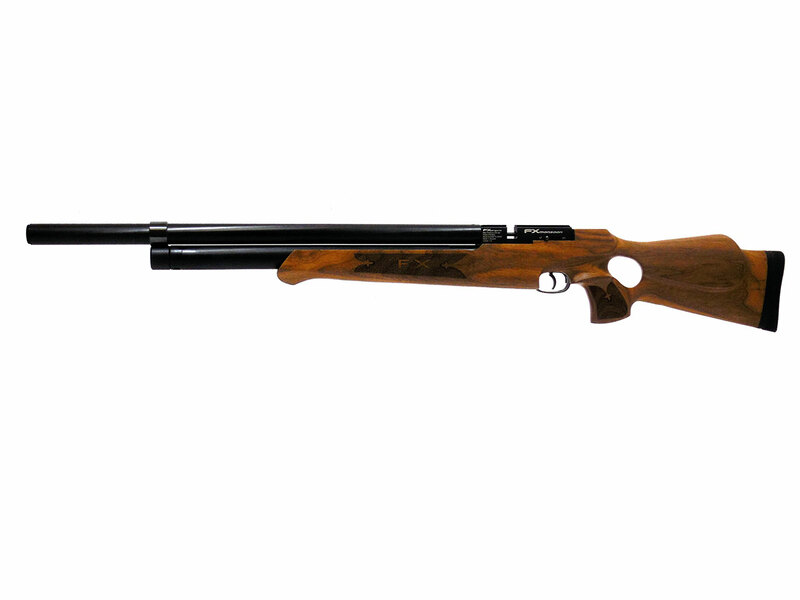 The Monsoon is sure to supply rapid fire enjoyment along with single shot precision.